Ukrainian hryvnia was recognized as the most undervalued currency, that's according to the so-called Big Mac index, according to The Economist. The Big Mac index was invented by The Economist in 1986 as a lighthearted guide to whether currencies are at their "correct" level. It is based on the theory of purchasing-power parity (PPP), the notion that in the long run exchange rates should move toward the rate that would equalize the prices of an identical basket of goods and services (in this case, a burger) in any two countries, The Economist wrote. For example, the average price of a Big Mac in America in January 2018 was $5.28, while in China it was only $3.17 at market exchange rates. 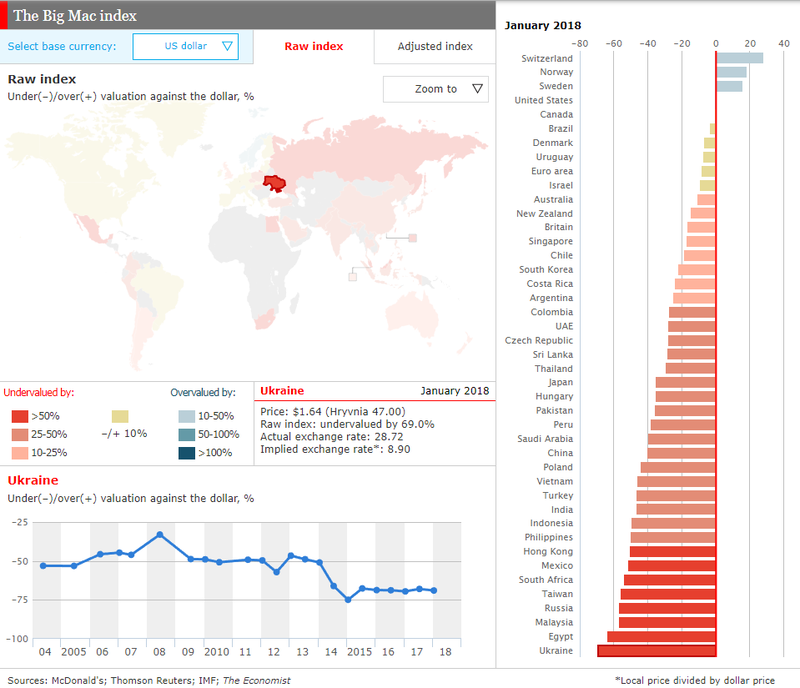 So the "raw" Big Mac index says that the yuan was undervalued by 40% at that time. 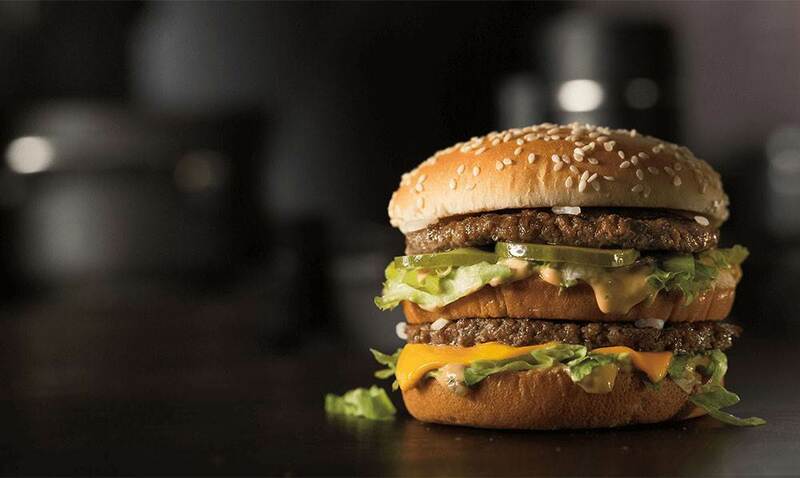 In Ukraine in January 2018, the Big Mac cost $1.64. This means that the hryvnia is undervalued to the dollar by 69%. Read alsoCash hryvnia in Kyiv keeps weakening to UAH 28.90 to U.S. dollarThe hryvnia rate should be about UAH 8.9 per dollar, according to The Economist. However, the rating shows that the currency is considered overvalued only in three countries, namely Sweden, Switzerland and Norway. Burgernomics was never intended as a precise gauge of currency misalignment, merely a tool to make exchange-rate theory more digestible. Yet the Big Mac index has become a global standard, included in several economic textbooks and the subject of at least 20 academic studies.